To Love a Rose: More Christmas Designs in our Cafe Press Store! As previously mentioned in other blogs, all the profits of our store My Pink Robot go towards our adoption fees. Even after the adoption is finalized, we have decided to keep the store running as a way to give money to different charities in America and around the world that help orphans and under-privileged children gain access to clean water, education, safety from abuse of any kind, and food and medicine. So, spread the word - by buying from our store, you are bringing an orphan home to his/her forever family; and in turn helping children's charities! 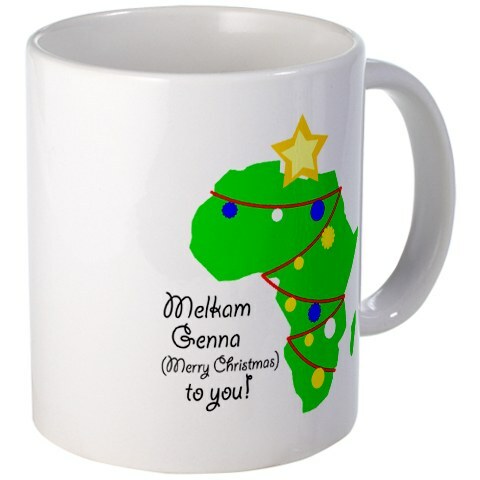 "Melkam Genna" means "Merry Christmas" in Amharic, the language they speak in Ethiopia. 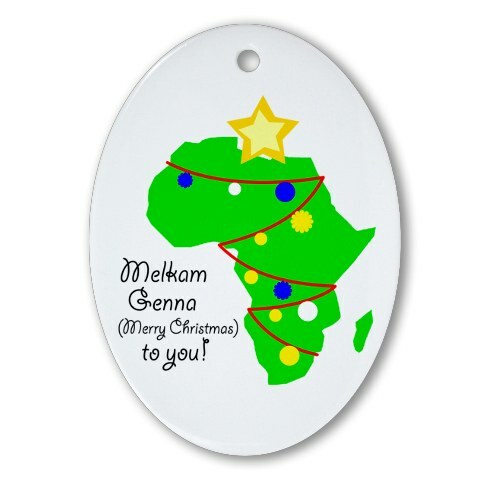 We're going to buy one of these ornaments for Baby C. It would be a great keepsake for any adopted Ethiopian child! 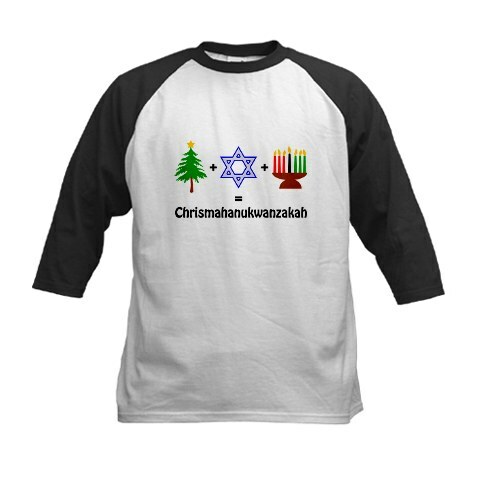 "Chrismahanukwansakah" kid's baseball jersey. We love that, while funny, this design can have a more serious message of tolerance and togetherness...what better message to spread during the holiday season than love and peace?! I love coffee; so, it only makes sense that I would like coffee mugs! Mr. C and I have a pretty good collection started, but it won't be complete until we get this one too! You can never have enough tote bags! I know I am always using mine! 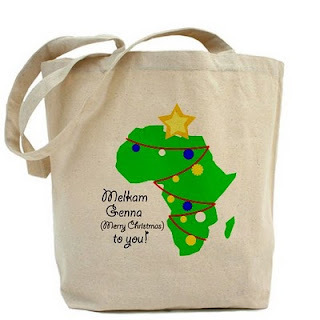 This would be a great option for a child or an adult to carry around the Christmas season. 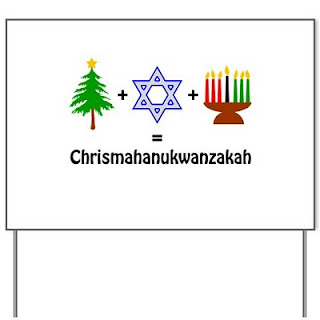 Spread a message of humor, love, and tolerance with a Chrismahanukwanzakuh button. Buy them in a 10 pack and hand them out to friends! Thanks in advance for spreading the word about our store! We greatly appreciate any and all "advertising" you all do for us! We can use all the help we can get, that's for sure.